Let it snow with 5 of the best snow-filled Xbox games! Waking up to a winter wonderland, and then sitting in a huge tailback on the M1 motorway, I was moved to consider which were my favourite snow-filled levels in games. Anyways, I digress, and after crawling along at a snail’s pace, I had plenty of time to think about snow in games, and even came up with a tentative ranking of the best Xbox games that have had their share of the white stuff. I’ll share them here, and I’m going to leave out Steep because a) I haven’t played it, and b) the snow theme involved in it is a gimme – but if there are any others I’ve missed please feel free to add them in the comments below! There’s no getting away from it, snow plays a big part in RotTR. 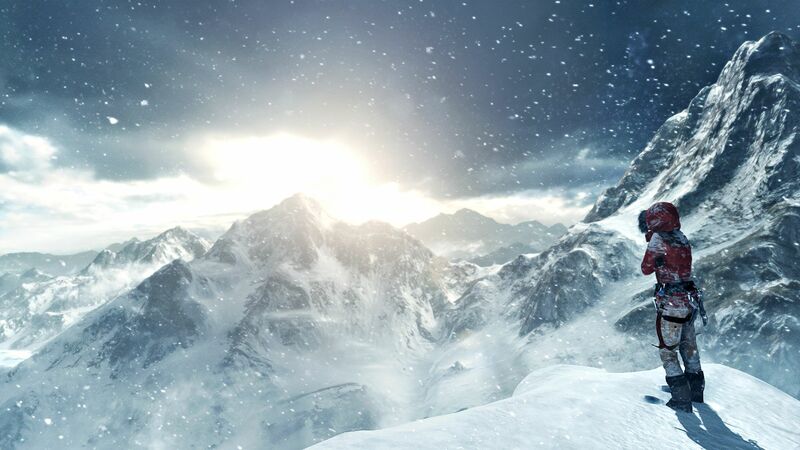 From the early levels where building a fire is all that’s on Lara’s mind, to later levels were she’s sneaking about outside Russian bases, the snow is ever present and stunningly rendered. Climbing a tree to escape a bear, to see the snow shower off the branches as she climbs, to the footprints she leaves when wading through the snow, trying to fend off frostbite, it really gives a good sense of what her struggle is like. And the struggle is real! Once she’s found a sensible cardigan and a nice warm anorak, things start to look up and she doesn’t run the risk of freezing, but the beauty that you can uncover by climbing structures and gazing at the snow covered peaks all around hasn’t, for me, been matched in any game. 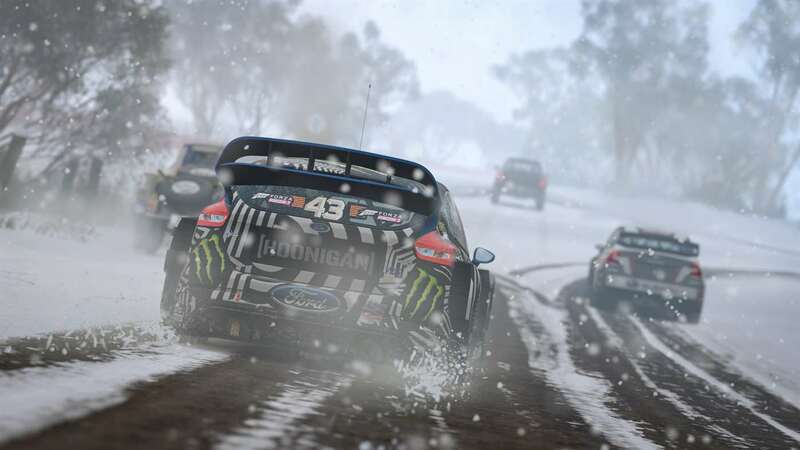 Yes, this is a bit of a cheat as it’s a DLC package rather than a full fledged game, but Forza Horizon 3’s Blizzard Mountain takes the biscuit for being a ridiculous amount of fun. Once the imminent danger of freezing has been removed by being inside a car, all that’s left is the imminent danger of over steering off a mountain and landing on your head. But hey, in Horizon 3 that’s all ok. The drivers in this game seem to live in the same universe as the bad guys from the A-Team, the 80’s favourite Saturday afternoon escapist television. Without a word of a lie, I once saw an episode where someone flew a helicopter into a cliff, it dropped about 100 feet and they climbed out of the wreckage holding their heads and groaning. It’s the same in Horizon 3; get ridiculous air, land in a heap and instead of your ankle bone being connected to your ear-bone, the car just rolls, gets a bit dented and then carries on. I fear I may have got a little sidetracked, but Blizzard Mountain is the greatest snow driving experience I’ve ever played, even beating the old Colin McRae games for sheer fun. Screaming round a hairpin sideways, a gnat’s whisker from disaster, and then pulling it off to win the race is an unbridled delight. Maybe those stuck on the M1 motorway with me this morning should play it? Skyrim, eh? What a place. Vast open world, dragons, bandits, and a million and one side quests to engage in. However, as part of a quest, we are sent to visit the Greybeards in The Throat of the World. As we make our merry way there through picturesque villages and meadows, maybe following a stream and battering some ne’er do wells in a crumbling fortress, we reach the foot of the mountain, and see the scale of the climb ahead of us. I haven’t counted the steps, but there a lot of them. And by a lot I mean A LOT. As we climb, snow begins to appear, and it gets deeper and deeper as we go, making the path harder to locate and leading to close encounters of the Frost Troll kind. 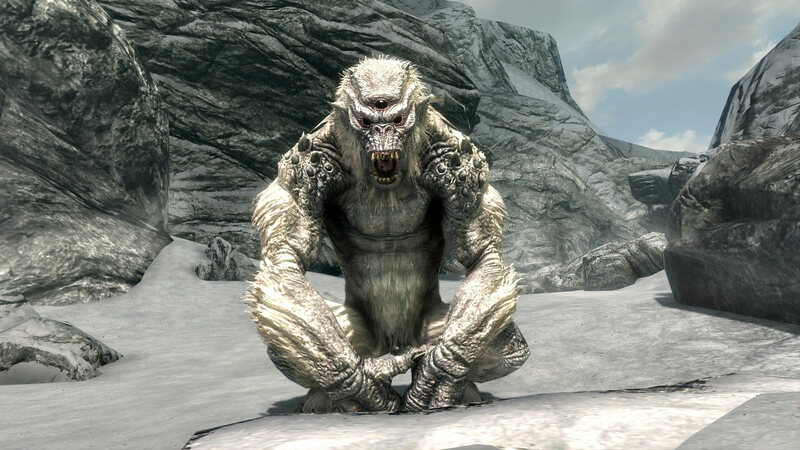 Luckily, a fistful of fire is usually enough to see them off, and the climb can continue to the top of the mountain and to Old Hrothgar, seat of the Greybeards. Here my story will end for fear of spoilers, but standing on the top of the world, effectively, and seeing the whole of Skyrim laid out before you, is a magical moment, with the colour palette of the game subdued by distance and the snow. And as long as no wolves appear, it’s a peaceful moment as well. An oldie but a goldie here. 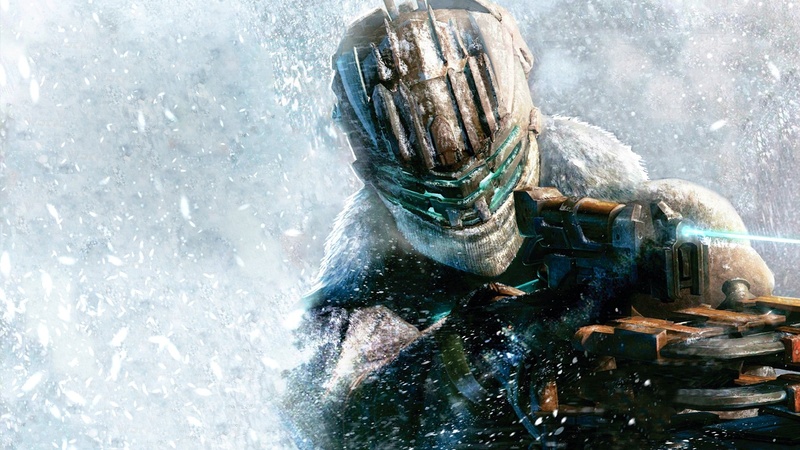 As a game, Dead Space 3 suffered from a lack of fear, a lack of the claustrophobia enhancing narrow tunnels and enclosed spaces of the first two games. However, making planetfall on an Arctic moon makes up for the other parts of the game. Searching through snowdrifts and a frozen planet outpost, knowing that sooner or later something is going to appear and make a concerted effort to bite your face off, makes this a very tense and memorable level. The giant Necromorph at the end of the level is almost an anti climax, as I’d built this level up in my head to be like The Thing (the 80’s version with Kurt Russell, not the new rubbish remake from a few years ago) and was dreading seeing a Husky! 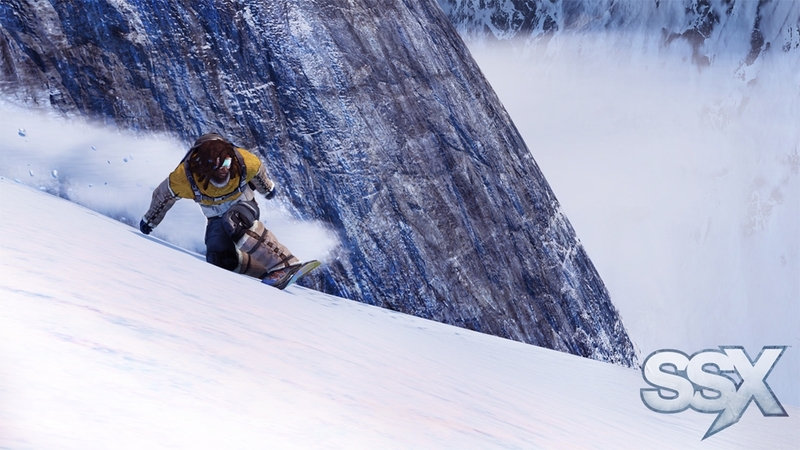 A bit of a no brainer here, and since it can be any SSX game ever, I’m going to choose to talk about SSX Tricky. Mainly because of the awesome soundtrack crowned by Run DMC, with their seminal track, “It’s Tricky”. Man, I used to love sliding down the mountain, picking up the letters and then busting moves as I flew off a mountain. Those are some University memories right there, imbibing many refreshing soft drinks with my fellow students while trying to get the highest score on a run. For me, Tricky was the highpoint of the series. SSX 3 was okay, and I did have some good times, but never to the level that Tricky helped me achieve. Obviously, it wasn’t the last word in realism, but for me that’s part of its magic: why slide down a mountain on an ironing board when you could be flinging yourself from a cliffside, spinning said board around your neck before landing perfectly? Lost Planet, from way back in the mists of time, is a close run call here. The whole premise of stamping about in the snow in a giant machine, killing giant bugs to steal their energy to help keep you from freezing was an intriguing one. It’s a shame that the game that was attached to it wasn’t better, frankly. The snow level in CoD Modern Warfare 2 is another near miss, mainly because I don’t like CoD games (I’ve still never finished one) and also because MW2 is one of the poorer games, in my opinion. Same story for the Nelson Bay map in Battlefield: Bad Company 2. It’s a great game, but that map is the one that usually saw the server empty as everyone ran away to something with tanks in. Oh, and Steep. Don’t forget Steep if you want to be overrun with white powder. So, those are my recollections of the best snow-filled moments in Xbox gaming. Are there any I missed off my list? Let me know in the comments below!